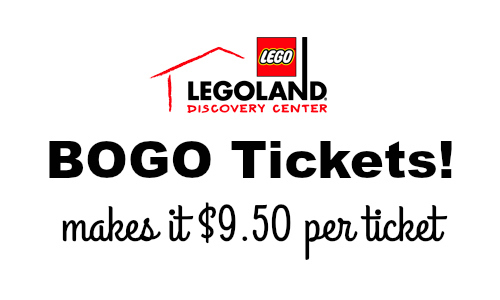 Check out this great offer where you can get BOGO Legoland tickets when you use the coupon code 159915. What a fun way to enjoy Legoland! The code works for Atlanta, Chicago, Dallas/Fort Worth, Kansas City, Westchester. Tickets are $19, making them $9.50 each with the code. Kids under 2 are free. This would be a fun outing for the whole family!